More and more we are using our home computers for multimedia storage and display, with systems like Apple TV and Windows Media Centre. For Linux there is even more choice, with comparable (and some might say superior) applications like MythTV developed that allow you to watch and record (turning your Linux box into a digital video recorder or DVR) and Linux distros tailored to act exclusively as an open source operating systems for dedicated media centers. MythTV is a very popular choice for a Linux DVR; installation and configuration is straightforward and using it is even easier! There are two ways you can run MythTV. The first is to head to www.mythtv.org/download and grab an uncompiled version which you will then need to compile on your Linux box. The preferred way, however, is to utilise your distro’s Package Manager. Using Ubuntu as an example, you can open this via System > Administration > Synaptic Package Manager. Use the search tool to find mythtv – all related packages will be returned, and you should tick the box next to the MythTV entry and click Apply to proceed (when you left-click an item in the Package Manager you will see details about it in the lower portion of the screen. This should help you distinguish between the main MythTV package and any additional components). You will then be advised that MythTV requires additional packages to be installed. Agree with this and proceed; the installation is quite a long one, requiring the download of around 120 MB of data and various user input. Throughout installation you will need to define (and provide again later on) a root password for the SQL database that MythTV uses. Once installation is complete, go to Applications > Sound and video > MythTV Frontend. This will require you to add your login to the MythTV usergroup on your PC, something that will result in you having to provide the root password and to logout and back in. Next, open MythTV Frontend again – and you’re ready to start configuring the application! 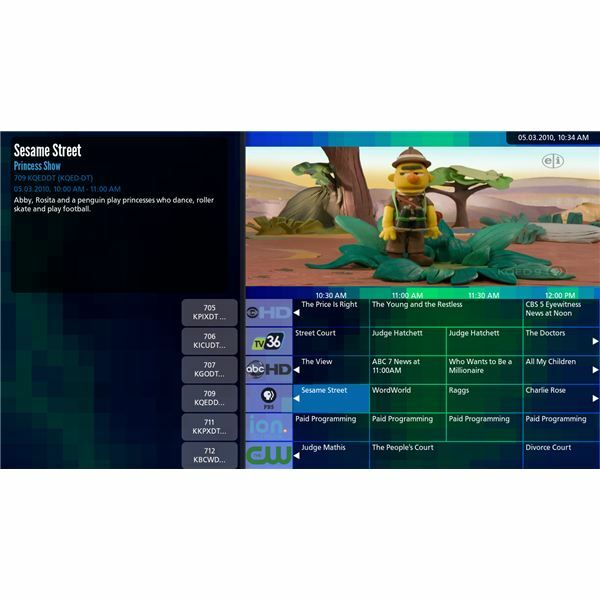 Via Utilities/Setup > Setup > Appearance you can pick from various skins (themes) for MythTV, and using Watch TV you can enjoy any data that is coming from a TV receiver to your PC’s TV card. In addition, Myth TV allows you to use your computer as a digital video recorder (DVR). Linux distros are particularly suited to home media center solutions, so as long as you have a good TV signal and plenty of hard disk space there is no way that you should be missing your favourite shows! Using this software, you can record TV on your computer and watch it later on, and depending on the size of your hard disk drive you can store hours of programming. The Manage Recordings menu item will allow you to use MythTV as a Linux DVR, allowing you to Schedule Recordings by searching a Program Guide or settings a Manual Schedule (amongst other options), Set Priorities if programs overlap, check Upcoming Recordings, Delete Recordings and check Previously Recorded broadcasts. For delayed viewing (pausing live TV) you can simply use the Watch TV option and pause and rewind live TV as you watch it. Various options for the treatment of live TV can be found in the Utilities/Setup > Setup > General and Utilities/Setup > Setup > TV Setup > General > Playback menus. While MythTV doesn’t offer the functionality of a full media center, it makes a superb open source Linux DVR that can be installed and setup in minutes!